Masayoshi Son’s telecoms division could be worth some $55 billion, Breakingviews reckons. That equity value falls well short of the $70 billion SoftBank may be hoping for. With a huge retail offering likely, it’s ordinary Japanese who will need to be persuaded. Japan's SoftBank Group Corp Chief Executive Masayoshi Son attends a news conference in Tokyo, Japan, November 5, 2018. SoftBank, the Japanese telecoms and technology company, is looking to raise a record 2 trillion yen ($18 billion) from Japanese retail investors in the upcoming initial public offering of its mobile phone division, Bloomberg reported on Nov. 7, citing people familiar with the matter. SoftBank may sell 2.5 trillion yen to 3 trillion yen of stock in the mobile division, whose market value would be around 8 trillion yen, the report said. Nomura, a joint global coordinator of the IPO, will sell the biggest part of the shares to the Japanese individuals, the report added. 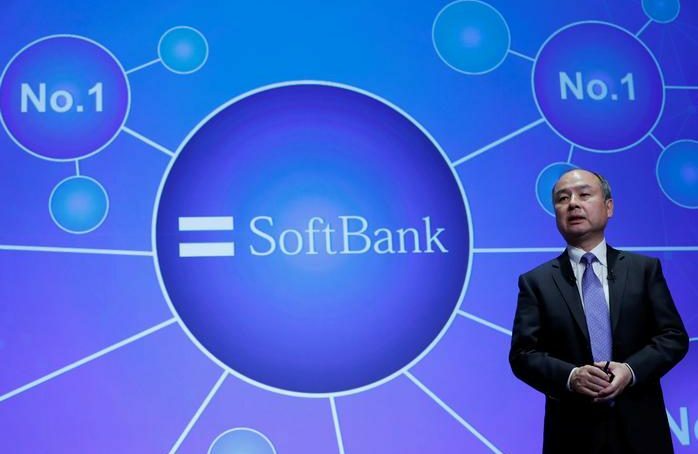 SoftBank will announce details of the offering as soon as this week. Marketing is due to begin this month and shares are due to begin trading in Tokyo on Dec. 19. If the sale raises 3 trillion yen, or about $26 billion, it would become the biggest IPO on record, topping Chinese e-commerce giant Alibaba’s $25 billion offering in 2014. The expected size of the sale to retail investors would exceed those of Japan Post in 2015 and NTT Docomo in 1998, which each raised about 1 trillion yen from individuals, according to Bloomberg.